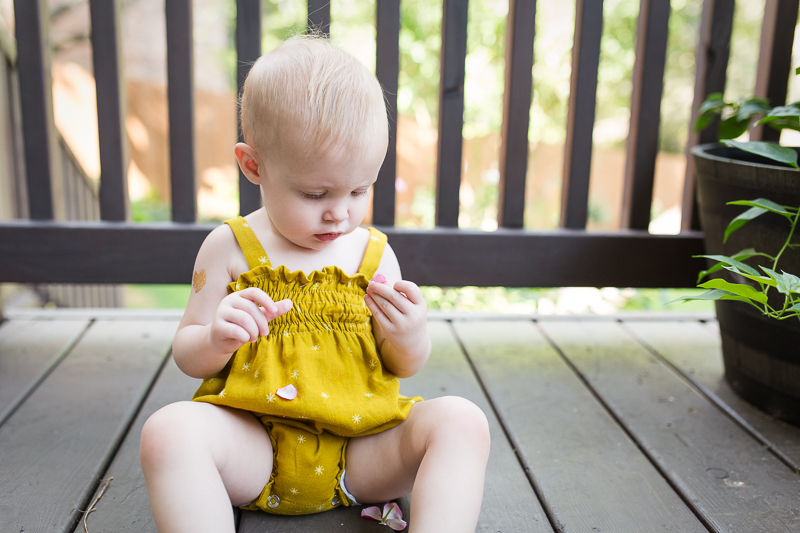 While poking around the Internet in search of the right pattern to sew for Hazel for her first birthday, I stumbled upon a free tutorial by Rae- the baby sunsuit. This was one Made By Rae pattern I somehow hadn't discovered previously. I'm so glad I found it, because it's so darn adorable... and also free! I knew I wanted to sew it up in this Cotton and Steel double gauze. I have been enamored with this print ever since I saw Sophie's beautiful Blandine in it here. It's so soft and floaty and perfect for the daily 100 degree weather we've been having here lately. I decided to use red buttons since this print is dotted with an occasional red ring. I love the red against the mustard. I skipped the buttonholes to save time. They really aren't necessary since the shirred top makes for easy on and off. I had planned to have Hazel wear this on her birthday, but then I remembered that her party mainly consisted of making a gigantic mess with chocolate cake. So these photos were taken the day after her birthday. For her (origami) birthday party, we all wore origami tattoos, a gift from Sanae. They are awesome and stayed on forever. 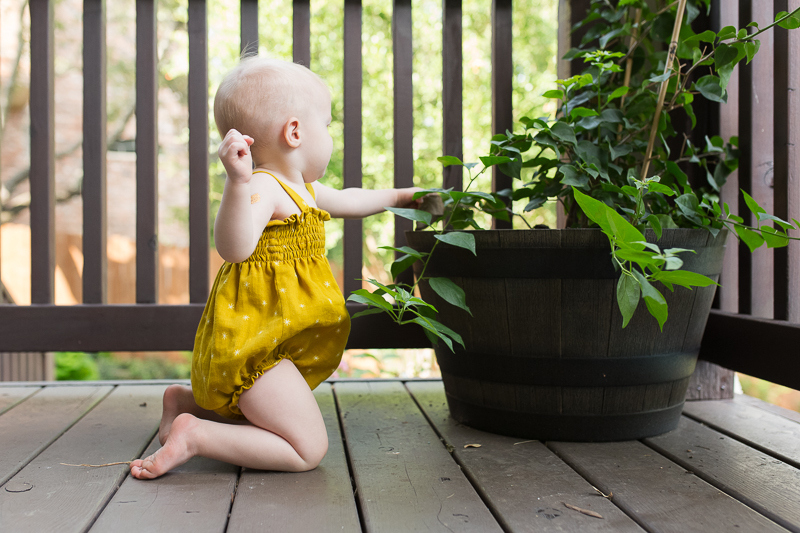 Here's Hazel checking out her's. 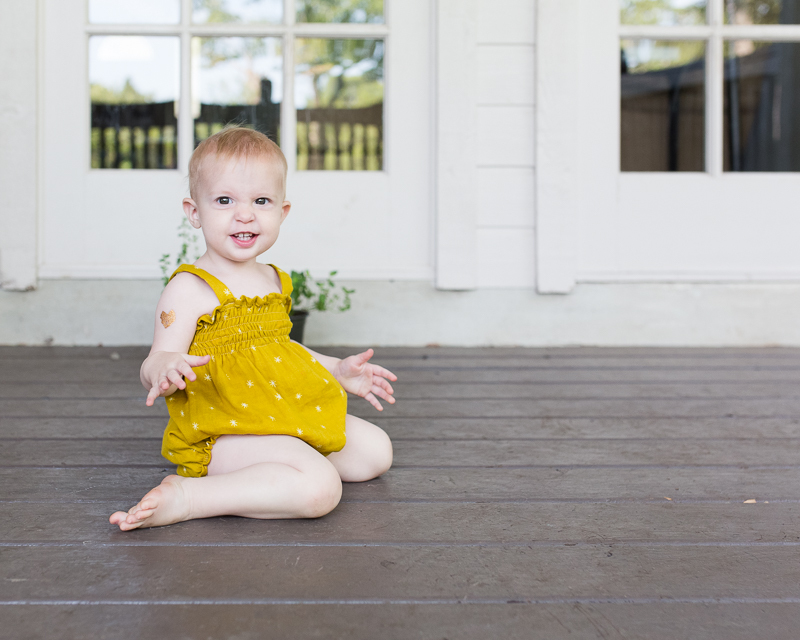 I love that she was still crawling at 1 year old. These are likely the last photos I have of her crawling. Since then she has really mastered walking, so the crawling days are behind us now. But it was fun while it lasted! 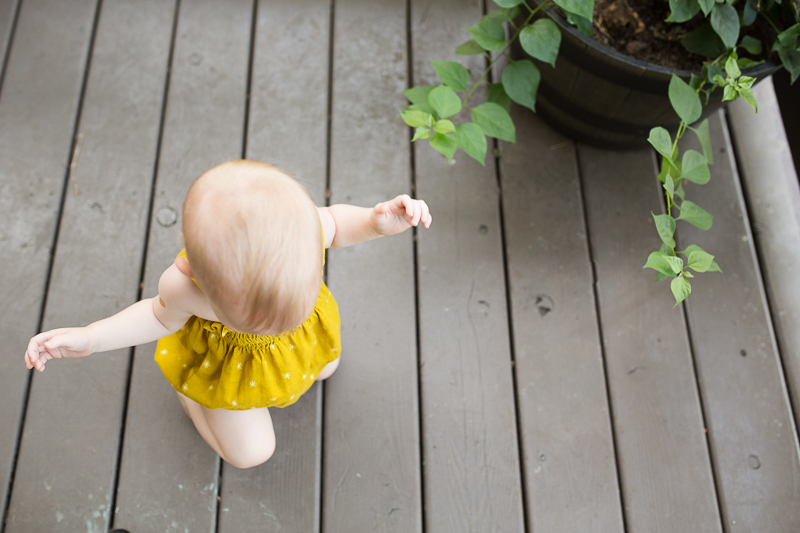 Before she got the hang of walking, she used to walk on her knees, which was pretty much the most adorable and hilarious thing ever. When she did it in public, I don't think there was a single person who observed it without giving us a smile. Hazel is one active little lady. Sadly, last week she had a terrible accident where she was pulling up on a small iron side table and somehow knocked it over. (We obviously had no idea it could be knocked over - it wasn't unsteady and we try to be well babyproofed. We even affix our dressers to our walls.) It landed on her thumb, severing the tip of it just below the nail. I'll spare you the gory details because oh boy was it gruesome. She had to have it surgically repaired and is now in a full cast... but only for a week (fingers crossed). The ER pediatrician told us that- surprisingly- this is a pretty common injury for little ones who are prone to getting tiny fingers in the wrong places. It was so hard to see her in such pain. But as she was having the procedure, I was filled with a profound sense of gratitude for the care she was receiving. My heart ached for the parents and children living in parts of the world where these types of injuries aren't able to be treated due to lack of medical care. We're so fortunate to live in this time and place where we have access to such incredible treatment options. And boy are kids resilient! 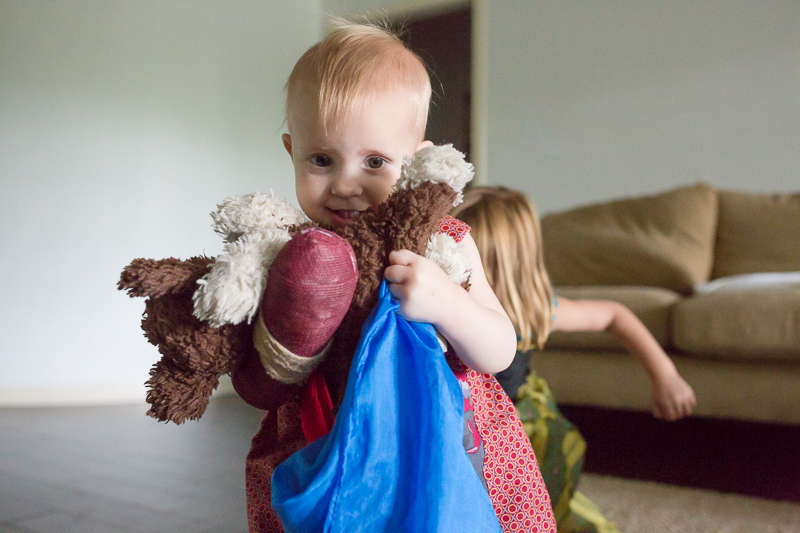 Outside of having a very difficult time sleeping at night, Hazel has done so well getting around with her cast. It hasn't slowed her down one bit. In fact, in only a few days time, she has learned how to use her cast like a drum stick to bang loudly on things! It's quite impressive, really. She is supposed to get her cast off tomorrow. 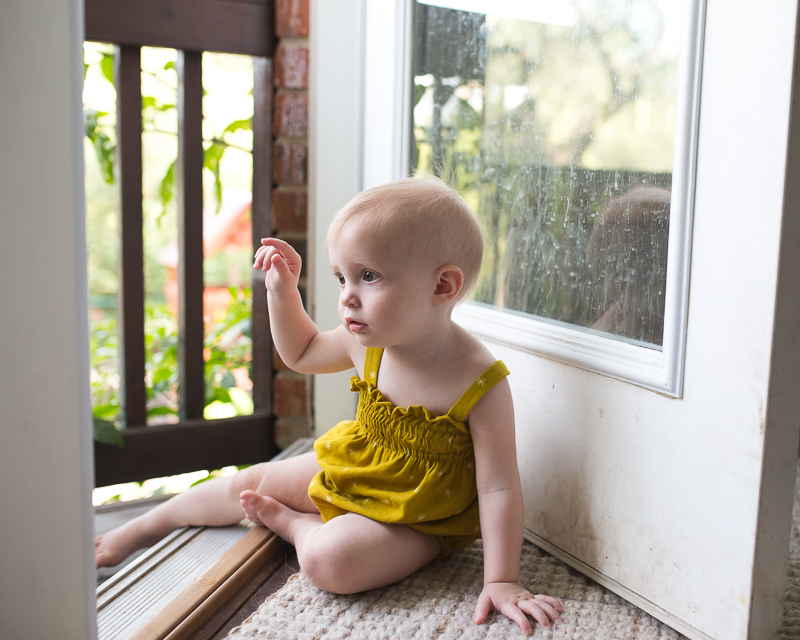 Soon enough, Miss Hazel Theodora will be as good as new. And we'll all be glad about that! I feel so sad for Hazel ! Pierre broke his leg when he was one year old, he had a cast during almost 6 weeks and we were so surprised to see how he did get along with it. These babies are extraordinary. 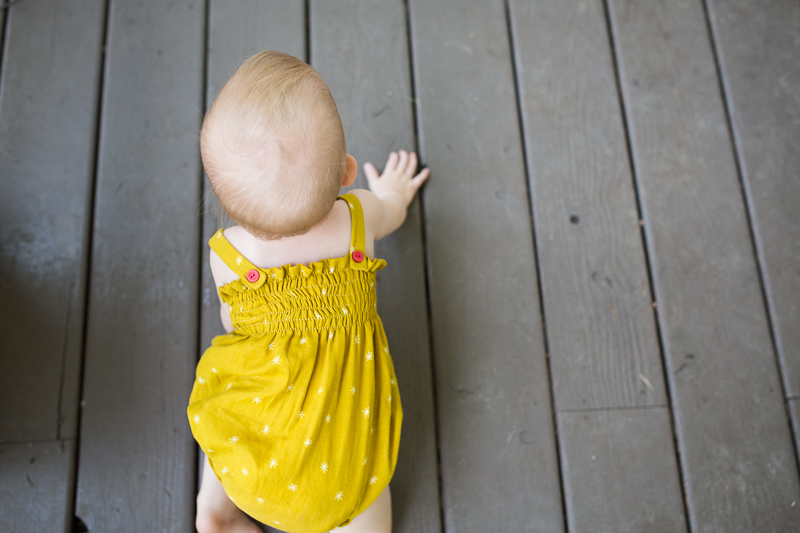 I almost forgot to say the sunsuit is adorable, I love mustard for babies (and kids, and adults :) ). Oh, poor thing! Hopefully it will heal quickly. 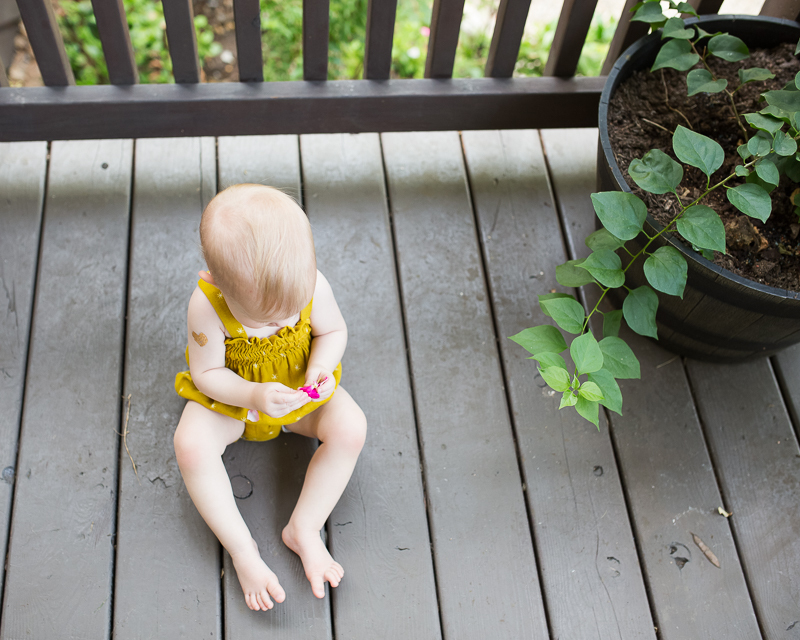 She looks stunning in her pretty sunsuit, I absolutely adore the fabric and the color! Thanks! Her cast is off now and she is doing great! So thankful! Wow are you ever having a bad run of luck with kids busting themselves up! That is a great club of a bandage. Hope she doesn't use it to whack her siblings. Oh no! Poor Miss Hazel, how awful! I am glad she is doing well. You are right we are very blessed to have access to such excellent medical care. Love the jumpsuit, by the way! The color is awesome! Hazel!! Oh man what a scary accident, I'd like to think I'd remain calm if I saw my baby missing a fingertip, but who knows? Yikes. Glad to hear they were able to fix her up. And Iris just got her cast off! Arg!! I know this might seem just a little silly, but I just got new dishcloths and they just about the same color of this gauze and I love it. Super pretty. :) Poor baby-that cast looks gigantic. Hope it heals well. Oh, BabyHazey! You are so adorable and bold! I'm so sorry about her little accident, Rachel. It's so hard not to blame yourself for this kind of thing, but really, it just happens! 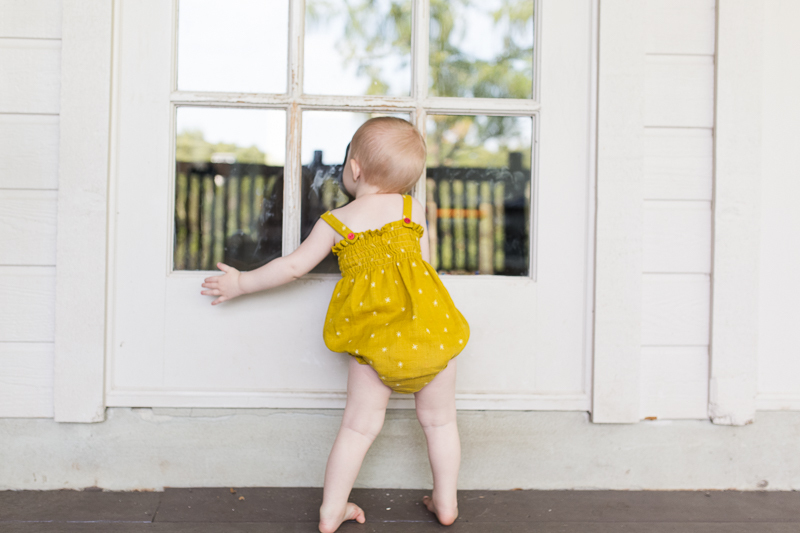 You can't put your kid in a bubble, and these things do happen. I'm praying for a quick recovery for Hazel. Soon this will be a distant memory (perhaps with some interesting and character building scars). Poor Hazel and you! That must have been terrifying. My nephew suffered a similar injury twice at the daycare he attended where he caught his finger in the hinge of a door! Twice! He had to have the surgery twice on two different occasions - but both within a year of each other. It still sends shivers down my spine just thinking about it. She is such a beautiful little girl. I love these special photos you've captured. I may need to get a new camera so I can take actual photos of this new baby and not just iPhone photos. We told the kids on Wednesday. They were both off school sick and had to come with me to the midwife. Oldie is extremely excited and talks about the baby all the time. Gus is a little more apprehensive. I think he's a bit worried about being "bumped" in the family but I'm trying to tell him he's getting the best of both worlds as be will always be Ollies little brother, and now he gets to also be a big brother.we had to delay our ultrasound until the 9th September as phil is travelling this week now... So sadly I'm back counting down... 10 more sleeps! Oh, poor Hazel and poor you - I think injuries like that are almost more traumatic for the parents than the patient. I'm glad to hear she's on the mend and unphased by her cast. 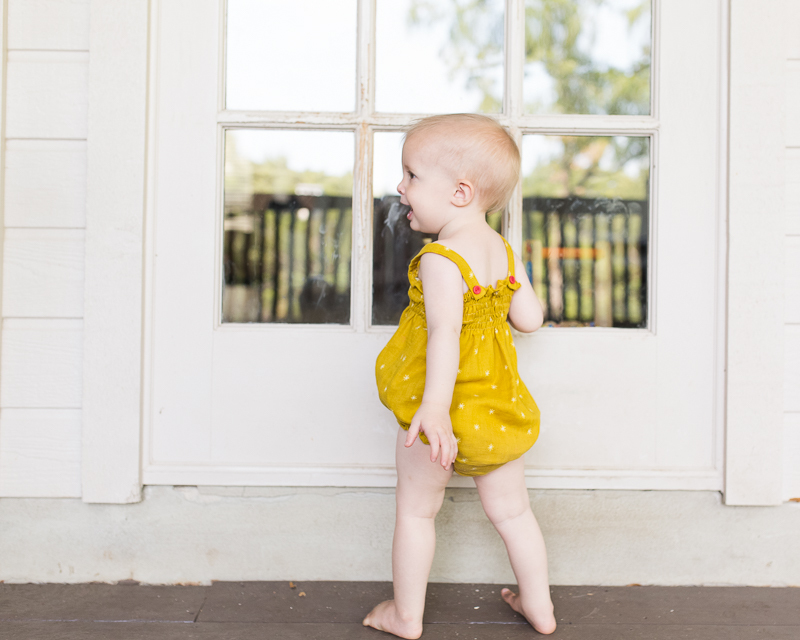 And her little sunsuit is gorgeous. Thanks, Suzy! It was pretty traumatic all around, I think. Of course there are injuries that are so much worse, but I was terrified that she was going to lose the tip of her finger. Thankfully, her cast is off now and she is doing great! 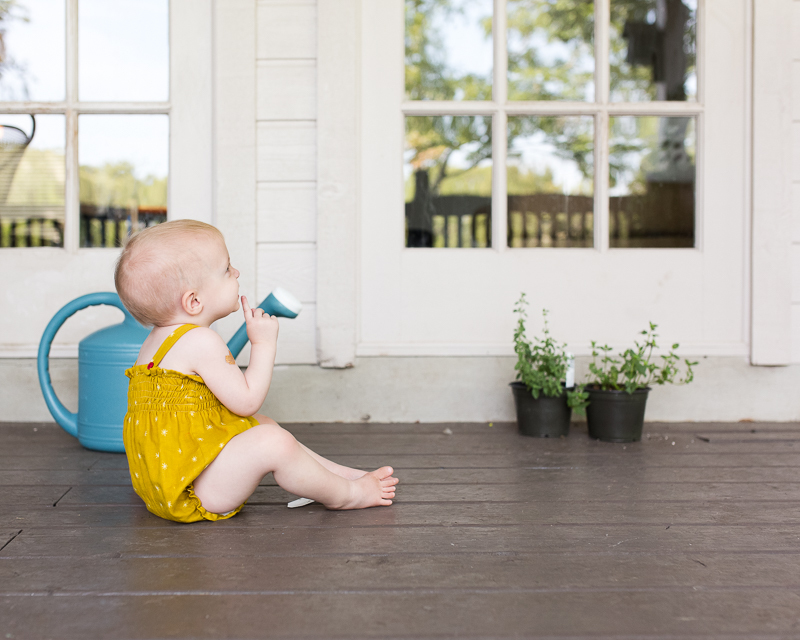 oh that little sunsuit is wonderful! 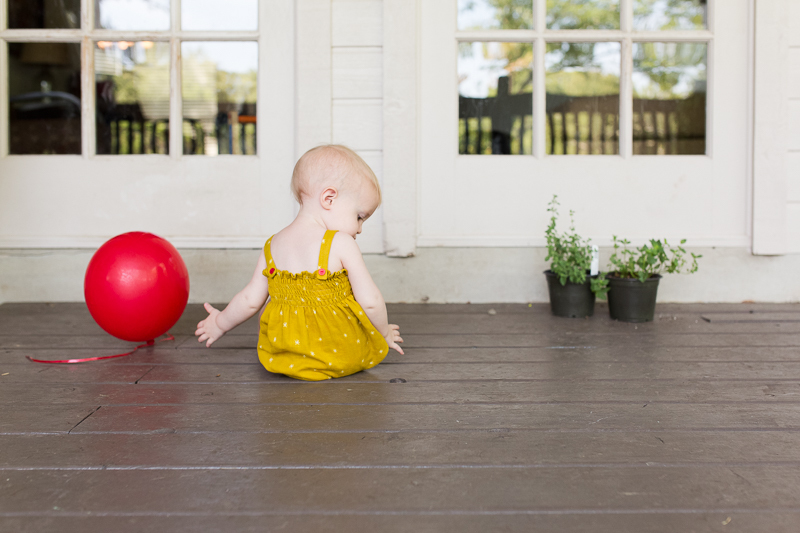 happy first birthday to your little doll, i'm glad to hear she's on the mend! Oh, so adorable! This pattern was top on my list had O been a baby girl :) My nephew lost the top of his finger when a heavy door closed on his finger and he had a complete recovery. But so scary! Glad the cast is off! I have no idea why I am just now reading this!! Poor Hazel. Ouch! 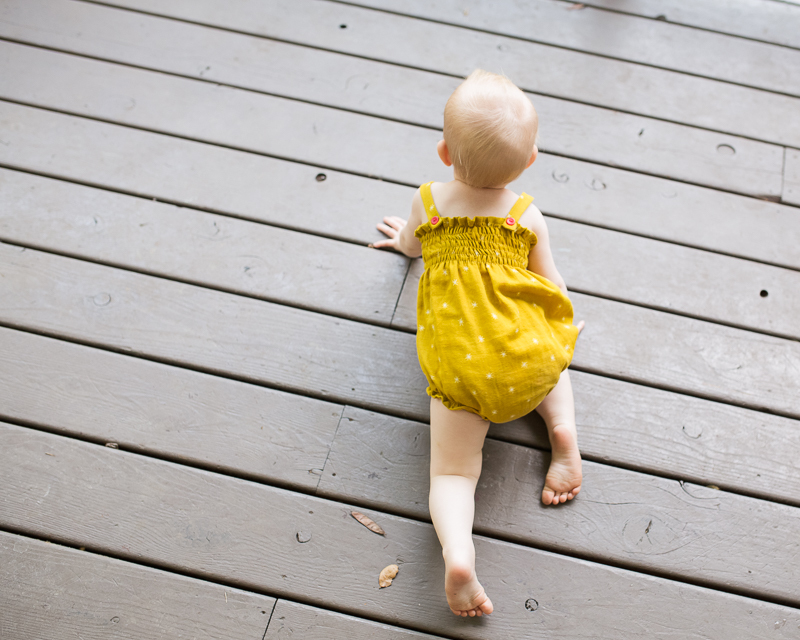 Avery was never a crawler. She scooted around on her bottom. It was the funniest thing, but she was very speedy and skilled with it. It also allowed her to wear dresses that usually trip up crawlers. Great memories!